LYNNWOOD, Wash. -- The body of a missing suburban Seattle boy with autism was found in a dumpster early Tuesday, and a teen relative is in custody, reports CBS affiliate KIRO. The Snohomish County Sheriff's Office said David Pakko was a victim of homicide. A 19-year-old man, who is a relative of the boy, has been detained. The boy was reported missing at about 5 p.m. Monday. 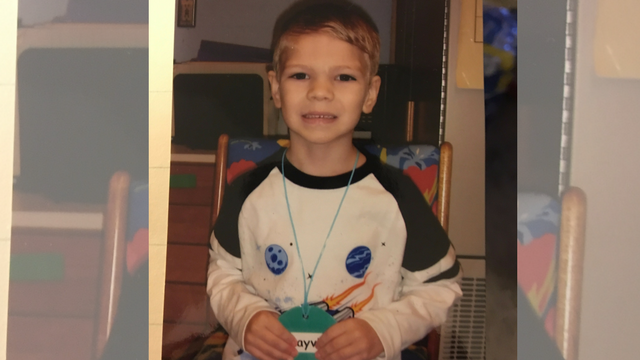 He had stayed home sick from school that day sand was last seen in his Lynnwood home around 2:30 p.m., reports the station. The sheriff's office said David was under adult supervision while he was at home, but did not say who he was with. Dozens of search and rescue personnel, along with civilian volunteers combed the area for the child, who police say was mildly autistic. The child's body was found in a trash container at the apartment complex where the boy lived, the sheriff's office says. The boy's cause and manner of death will be released by the Snohomish County Medical Examiner's office.